So I was up late the other night replaying Batman: Arkham Knight and I’ve come to a realization: The Ridder is an annoying insignificant little prick. Now don’t get me wrong, from a game play perspective his challenges, riddles and puzzles are fun as hell. However, from a story perspective, I have no idea how the hell Batman deals with him. 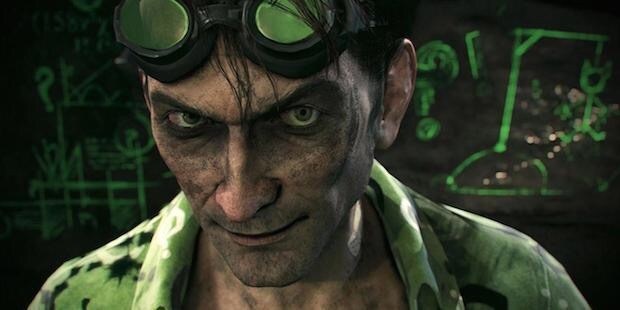 When looking back at the previous Arkham games, the Riddler was possible one of the coolest things in the games. His riddles were full of Easter eggs for every Batman fan. He even sort of makes sense in the first Arkham game, with Batman trapped in the Asylum and every taking their chance to pick at him. A lot of the time though he just seems to be in the way. As I played through the main campaign, trying to defeat Scarecrow and figure out the mystery of the Arkham Knight (huge let down by the way, figured it out a third of the way through the game), the Riddler was like that little fly that won’t stop landing on your face. I found myself leaving all the Riddler mission until after I finished the main campaign. 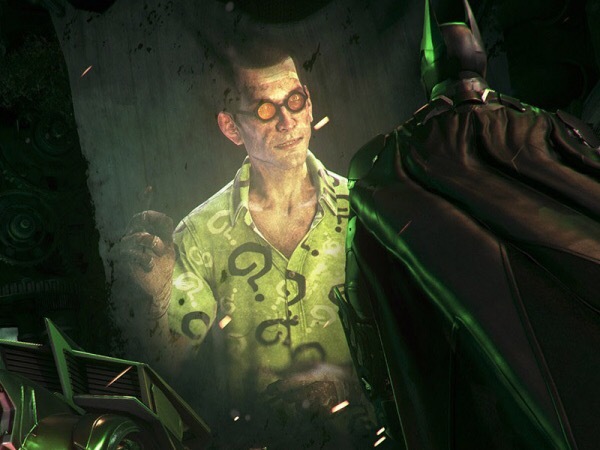 The weird part is I guess this is testament to how well Rocksteady did justice to the character of the Riddler. He is needlessly egotistical and has a massisive superiority complex. Sometimes I feel the like Batman should just ignore but that won’t work work because the Riddler would just put lives in danger just to prove he is better and Batman won’t let him. Then I got to thinking that’s the problem: Batman won’t let the Riddler win. I’m not talking about letting the Riddler kill a bunch of people but just feeding his ego. What if Batman went against the Riddler like he does in the game. Stops whatever ridiculous game he has got for him. Takes him to jail but then just sits him down and goes “Let’s play a game a Chess Nigma”. Of course Riddler agrees boasting how he will have already won by the first move. All Batman would have to do is make is look like he is winning and at the last second lose on purpose. Would this not be the Riddler’s greatest accomplishment? Would he not just stop because he bestest his greatest enemy and endlessly brag about it every time he got a visit from Batman in jail? I don’t know. Maybe a comic book writer needs to weigh in on this but after three games the Riddler wears a little thin.